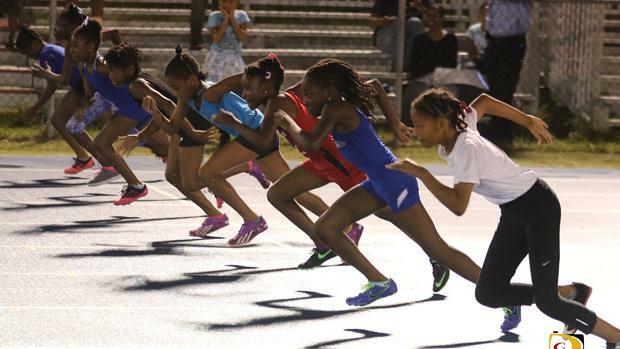 The top U15 athletes across the territory have been invited to participate in Friday and Saturday's BVI Athletics Association National Youth Championships, which will also mark the 21st IAAF World Athletics Day. The 2-day competition will bring together the best 16 athletes in each event who competed in the 2016 Inter Primary Championships A and B Divisions based on times, as well as U15s from the Elmore Stoutt High School Inter-house Sports Day, Bregado Flax Educational Center and St. Georges among others, all of whom will meet for the first time at the A. O. Shirley Recreation Grounds. Session I starts at 5 p.m. on Friday and includes the Shot Put, Baseball Throw and the Long Jump among field events. Track events will include prelims of the U9 Boys and Girls 60m dash; U11 Boys and Girls 80m dash and U13 and U15 Boys and Girls 100m as well as the U13 and U15 Boys and Girls 600m and 800m timed finals. Day I concludes with finals in the short sprints. Saturday's competition will begin at 3:30 p.m. with the U13 and U15 Boys and Girls Baseball Throw and the U9 and U11 Boys and Girls Long Jump. The U15 Boys and Girls High Jump will start at 5 p.m. Prelims of the U9 and U11 Boys and Girls 150m and the U13 and U15 Boys and Girls 200m will kick off at 4:10 p.m.
Finals of the U13 Girls and Boys 300m and U15 Girls and Boys 400m as well as the short sprints will follow.